Although the United Kingdom has some of the best laws and taxation policies for online poker players, when it comes to the online gaming sites there are definitely greener pastures than the UK to setup shop. So, the longtime UK sportsbook Betfair is discovering as it toys with the idea of leaving the UK to lower its overall tax burden. 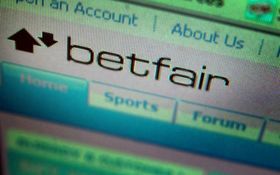 Should Betfair leave the UK it would join a growing list of other online gaming providers that have done likewise, including William Hill and Ladbrokes who both moved their operations to Gibraltar. The main point of contention is the Horse-Racing tax UK-based companies must pay; 10%. By moving to Gibraltar William Hill and Ladbrokes now avoid this added tax, and Betfair has told the UK government that unless they change their current taxation policy they to will leave for Gibraltar. Betfair is citing the competitive imbalance that their competitors hold over them by operating from Gibraltar. Betfair has been a leading force and innovator in the UK online gaming industry and is one of the largest sports-books in the world with an estimated 4 million customers worldwide. This entry was posted on Friday, November 19th, 2010 at 5:48 am and is filed under Poker News. You can follow any responses to this entry through the RSS 2.0 feed. You can leave a response, or trackback from your own site.